I just read in a Lee Child novel that "London has a quarter of the whole world's supply of closed circuit cameras, all in one city". I know London is peppered with official police cameras and private ones put up by shop keepers and businesses etc...but, a quarter of the whole world's supply of closed circuit cameras, all in one city? Can anyone verify this for me? I cannot imagine that other major cities in America, Europe, Asia etc are slowcoaches when it comes to installing security cameras. 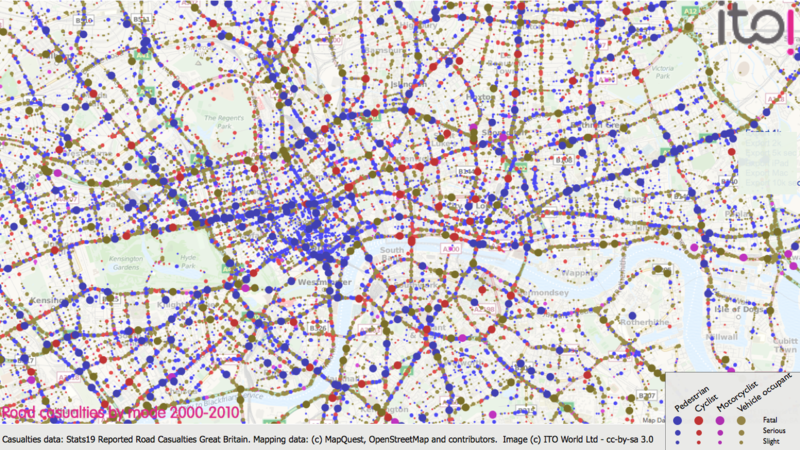 And these are just the 'traffic' cameras in Central London. Click to enlarge. I think I heard a stat saying that the UK has 5-6 million CCTV cameras - one for every 12 of us. Not sure how many are in London. I think the UK has 20% of the worlds CCTV, too. plus Google street view ; although it's not live you'll see some amazing stuff on it .